The enormous amount of information presented in this work is organized in a surprising, yet familiar framework. Using the example of the notorious Lawrence of Arabia and his pillars, combined with the idea that biblical evidence supports such an outline, the author presents us somewhat a guidebook for understanding and breeding Arabian horses based on seven pillars. A brief description of the desert and most of its animal inhabitants sets the stage for the saga of the Arab Nomads. A chapter about Bedouin history circles around the connection between the bible and Bedouin. Three main arguments are made to support this connection; first the idea that the bible contains an accurate description of Bedouin society, and matches that of the early Orientalist renderings of encounters with Bedouin in the Middle East. Second the author links the camel, the center of Bedouin society and culture, to Abraham and Ishmael. And third it is argued that Bedouin society is based on kinship systems that are found in the Bible. A chapter on Bedouin society follows. Using Orientalist writings and Biblical examples, the author elaborates on the social but also infra- structures of Arab Nomads. In this chapter the camel plays a more prominent role in the narrative and it isn’t until the aspect of religion is discussed that more examples about the role and position of horses are brought forward. This changes in the next chapter on Bedouin tribes, in which the author discusses the Arab tribes who have been known to keep horses. To make it tangible, the connection to current breeding programs is made by showing which tribes bred certain horses that have been imported across the globe in the modern period. Subsequently the topic of strains (bloodlines) is brought up. A brief overview of the concept of strain-theory among breeders is provided before the author elaborates on the various strains, illustrated by photos of famous horses throughout recent history. A brief chapter called Bedouin Tradition discusses the role of Arabic poetry featuring horses and horse descriptions, followed by a chapter on the characteristics of the Bedouin horse and a scientific chapter about all things medical regarding horses and some genetic diseases particular to Arabian horses. A concluding chapter brings the reader back to the Bible and the proposed connection between Bedouin culture and biblical scriptures. Despite its popularity among Arabian horse enthusiasts, this work can not be compared to the average book on the breed. It contains far more detailed and carefully selected information about the Bedouin society and culture from which this breed is said to have sprouted. The author is also touching upon public debates about purity of blood and the concept of strain theory and subsequent breeding strategies. The chapter about the tribes is a treasure of information not only to breeders of Arabian horses but also to those who research migration and cultural exchange. A reader with a more general interest in both nomads and horses may however be overwhelmed by the amount of text and detail of the book. The focus lies with a specific type of Arabian horses and many of the names and examples of individual horses given may be lost on a reader with no background knowledge of tribal systems and Arabian horse bloodlines of the Middle East. An academic reader will notice the use of rather outdated or refuted sources, as well as an enormous corpus of Orientalist material. When it comes to the description of the desert and perhaps the animals it might not cause trouble, but using, and in this case, literally copying Orientalist works to sketch Bedouin society, tradition and ‘qualities’ is at least dubious. It would seem the author is not aware of the contextualization needed for both Oriental works as well as Arabic poetry. He does mention such poetry probably is more symbolic than real, but does not show the ongoing debate surrounding the idea of the existence of actual Pre-Islamic poetry. In conclusion Bedouin Heritage deserves to be ranked among the better works on Arabian horses as product of Bedouin society and culture. Especially when readers are looking for a detailed overview of the concept of both Bedouin life as well of the idea of the Arabian horse. To a more seasoned reader on the topic of Oriental horses this work however comes across as somewhat neo-Orientalist, mainly because of the constant efforts to tie the concept of Arabian horse breeding to the Bible as well as the justification of appropriation of the breed by others than Arabs/Bedouin themselves. It may be clear that the author admires the romantic adventures of the Orientalist writers on the topic very much and has tried to re-create his own story in a similar manner, therefore part of his goal is completed. While none of this information is in fact new, the book offers a unique perspective in terms of its enormous amount of information. 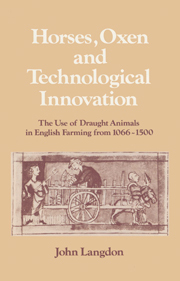 In Horse Nations (2015), Peter Mitchell offers a wide-ranging synthesis of archaeological, ethnographic and material culture studies to describe the impact of horses in the “post-1492” world. Horses, reduced to Eurasia from their original evolutionary footprint, were then reintroduced by European efforts to colonize the Americas, Africa and Oceanasia. The rapid emergence of the “equestrian nomad”, like the Apache in North America and the Mapuche in Chile, demonstrates the dramatic transformations that horses could bring in just a short period of time. Mitchell moves beyond the stereotypical image of the indigenous raider on horseback to explore the diverse range of responses to the expanding presence of the horse. Using critical post-colonial methodology, contact with the horse becomes a set of mutually entangling processes, rather than externally imposed or internally motivated change in the areas affected by European colonization. In collecting material culture evidence for dynamic processes of ethnogenesis that accompanied the adoption of the horse, Mitchell reviews nine distinct ecological regions and offers a four part typology: first, hunter-gatherer or mobile groups that became equestrian nomads, largely for big game hunting in the Prairie and Gran Chaco regions; second, semi-mobile pastoralists, using horses as accessories to other economic pursuits like herding, including the Navajo, Comanche and Australian aborigine; third, raiders and traders interested in the horse as an object for consumption, including the Great Basin Utes and South African Khoe; and fourth, sedentary and hierarchical groups that adopted horses for less obvious economic motives, most strikingly the Araucanians in the Southern Cone. Mitchell, a specialist in South African archaeology of nomadism, ranges far afield in his proposal for the category of “horse nations” as a particular global phenomenon that emerged in the sixteenth through nineteenth century. Beyond the question of the horse itself, Mitchell aims to provoke a broader comparative examination of nomadism. Through this overview, Mitchell makes the case for gradations in the range of movement and social stratification used to identify characteristic cultural traits based on interaction with adoption of the horse in diverse regions, without distinguishing ‘equestrian nomads’ from pastoralist nomads, and its reflection on the degree of sophistication in indigenous culture groups. Instead, Mitchell introduces the unpredictable role of “ontological relations” as an explanatory factor for the degree of adaptive flexible that made it possible to accommodate the horse. While not fully developed in this work, the anthropological concept of ontological relations determining human-animal relations moves beyond the functional or environmental determinism of older archaeological and anthropological studies of nomadic cultures. It nevertheless raises new areas for greater scrutiny about the distinctions between domestic and wild animals. In this respect, incorporation of zooarchaeological literature and research would substantially complement Mitchell’s survey. Despite the global interest of this book, more attention is paid to the extant literature focused in the Americas, and makes evident the lacuna in other complementary regional literature, particularly in the African continent. One extensive barrier, within the field of archaeology, stands at the division between prehistoric archaeology and palentology and later historical and ethnohistorical uses of archaeology. A second barrier to comparative nomadic studies appears in the vast leap from early hunter-gatherer interactions with feral horses and the historical development of domesticated horse populations, making clear the need for a new synthesis about the place of nomadism in Eurasian developments. Thus, as an enormously expansive, although not yet exhaustive, survey of major secondary works and primary studies, Horse Nations enriches the potential engagement between archaeology, history and anthropology on the topic of the horse in human-animal studies. It points the way to more work to come. The Comanche Empire. By Pekka Hämäläinen. The Lamar Series in Western History. New Haven, CT: Yale University Press, 2008. Winner of twelve book awards, Comanche Empire is a landmark of ethnohistorical scholarship. Pekka Hämäläinen challenges more typical narratives of European imperialism that feature the rapid dissolution of indigenous civilizations by drawing attention to the rise and fall of the so-called Comanche Empire in the modern American Southwest from roughly 1750 to 1850. Despite being surrounded by Spanish, French, and Anglo-American domains, Hämäläinen argues that “European imperialism not only stalled in the face of indigenous resistance, it was eclipsed by indigenous imperialism” (2). This Comanche-style imperialism differed from Euro-Americans in that Comanches sought coexistence, control, and exploitation rather than conquest and colonization (4). Ethnohistorical research is often hamstrung by a dearth of sources written by the indigenous group under study. While this is true for Comanche Empire, Hämäläinen offers an impressive analysis of Spanish, French, Mexican, and Anglo-American sources like government reports, captivity narratives, travelers’ journals, and traders’ accounts. Although Euro-American sources accentuate the military and economic aspects of the Comanche Empire rather than the cultural, they allow Hämäläinen to pay close attention to the implications of various events like the Bourbon Reforms, the French and Indian Wars, and the Mexican-American War. Taken together, Hämäläinen structures the book primarily chronologically to examine the lifespan of the Comanche Empire, beginning with Comanches’ alliance with Utes in the early eighteenth century and concluding with the empire’s collapse soon after the American Civil War. Perhaps the most striking feature of the Comanche Empire was their adaptive use of horses, particularly the Spanish-introduced Barbs that descended from North Africa and thrived in the southern plains. Indeed, tying in previous publications in Western Historical Quarterly and the Journal of American History, Hämäläinen describes Comanches’ adoption of horses as an “equine revolution” (347). Equestrianism dramatically altered Comanche hunting, warfare, and transportation, exponentially expanding their world and the speed in which they could travel through it. With horses, Comanches transformed their entire economy to center around bison hunting and horse herding. Horses’ voracious appetite for the abundant buffalo and grana grasses not only allowed the equine and Comanche populations to skyrocket, but in Hämäläinen’s words, allowed Comanches to “exploit the vast reserves of bioenergy stored in the plains’ bison herds more thoroughly than any of their competitors” (66). Comanches’ use of horses was so effective that nearby plains tribes had no choice but to become mounted if they wanted to avoid being marginalized by Comanches (356). Ironically, the success of Comanche equestrianism also contributed to the fall of the empire: the rapidly declining bison population in the mid-nineteenth century, exacerbated by Euro-American hunting, appears to have crippled Comanches’ military and economic hegemony more than any armed conflict with Euro-Americans. In addition to the military, demographic, and economic ramifications of horses, Comanches established a distinct culture of equestrianism with influences on wealth, social status, and gender. They selectively bred horses to optimize their endurance, speed, size, and even color. According to Hämäläinen, Comanches recognized at least seventeen different types of horses based solely on their color (246). The wealth of individual or families of Comanches could be determined by the number of horses they owned as private property. The average Comanche family owned twenty to thirty horses, but the most affluent elites could own hundreds (260). While teenage boys worked most closely with the horses on a daily basis, women participated in horse herding in addition to their responsibilities for childrearing, meat processing, the tanning of hides, and a range of household duties. Horses constituted a form of social currency that provided men with the means of gift-giving in exchange for wives, a massive advantage for the wealthy in a polygynist society. A lack of horses prevented young men from acquiring wives, and it also limited their access to other activities like trade. Without a horse, men were required to borrow them from peers, indebting them to a portion of the spoils of war or any wealth they would receive. Elites, on the other hand, could use their horses to make investments in more slaves and wives, in turn generating surplus commodities and food. As any effective work of scholarship should, Comanche Empire raises nearly as many questions as it answers. Although this reader is convinced by the author’s usage of “empire,” some of the sharpest criticisms of the book revolve around whether or not Comanches established one. These discussions may be the most exciting contribution of the book. One productive and related question is the extent to which Comanches’ created an empire not only like Euro-Americans, but like other well-known indigenous empires like the Mexica in Central Mexico and Inca in Peru. This is not a critique of the book, but just the opposite: Comanche Empire’s ability to challenge historiographical trends and generate debate secures its spot in graduate class syllabi and the bookshelves of all ethnohistorians.